To appreciate knowledge as a human achievement, we want to humanize the contributors to it, the people who work within every field of knowledge. We want to bring to imaginative life their creativity, fallibility, clever methods to overcome fallibility, and splendidly diverse achievements. We want to bring to life, too, what their knowledge means – to them, to their field, to us. There is one area of knowledge where it is essential to engage our students imaginatively for them to grasp what the area of knowledge is even about. I’m referring to Indigenous Knowledge, where the knowledge is seemingly defined by who possesses it. In this area of knowledge, many of the knowledge questions we want to pose can be asked with understanding and grasp of implications only if we have some awareness of culture and history. Where students come to TOK class already having studied many of the academic areas of knowledge for some time, they often have little background on indigenous peoples and their issues. Our role in TOK is not to give them extensive historical information – we’re not primarily an information-giving class. Yet we might want to provide them with some exposure not just to general issues but to people’s stories so that, through imaginative engagement, they might understand better the topics we discuss within Indigenous Knowledge. Today, though, I’ll pass on three resources that have come my way that you might find useful in thinking about how to lead your students into the indigenous experience. One is a wonderful series of photographs of American Indians available on youtube. In about 10 minutes of magnificent photographs by Edward Curtis, the film gives human faces to the abstraction “indigenous knowledge”. It’s a pleasure to watch. 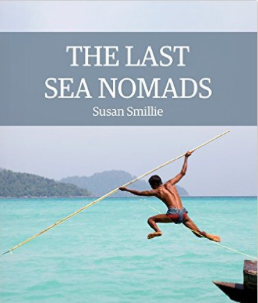 Another is a very short historical account, with personalities and stories, of the Moken community off the coast of Thailand: Susan Smillie’s The Last of the Sea Nomads. I found it engaging and moving as it deals with the Mokens trying to survive in a world changing around them. It would be hard not to recognize and appreciate their knowledge and their connection with their world. It’s just 56 pages and available very inexpensively as an e-book and an audio download. The third resource is substantial and serious – a resource for you as a teacher doing back-reading. The Canadian Truth and Reconciliation Commission reached the end of its process late in 2015 with the publication of a series of reports now downloadable free from the internet: National Centre for Truth and Reconciliation. These reports document the experience of Canadian indigenous people in the residential schools set up by the government. They separated children from their families, by force, in order to give them the education that the white Europeans in power considered to be the most useful for integrating them into a white European worldview and economic system. The residential school system was in part about what knowledge indigenous children should be given, but it was also about power and control. But what did the residential school system do in practice to indigenous people and indigenous knowledge? So far, I’ve read the summary Honouring the Past, Reconciling for the Future. It’s well over 500 pages long. I found it hard to read – not because it was unclear but because it was heartbreaking. If you’re interested but haven’t the time to read a long paper, you will get a sense of its contents in this shorter article: “14 first-hand stories underlining how residential schools tried to “get rid” of Indigenous cultures”. Personally, I see the Truth and Reconciliation Commission as providing knowledge that all of us should gain, if we don’t know already. Even if we’re not TOK teachers preparing classes, I think we’re responsible for knowing. But this might be a topic for another day!